Browse: Home / 2010 / January / Pharaohs, temples and sphinxen, oh my! Pharaohs, temples and sphinxen, oh my! I’m that guy. I feel it is important to get that out of the way very early in this trip report. I’m the guy who went to Egypt and didn’t actually see the pyramids. I was given strict instructions by many, many people that I should see the pyramids. I did much research on how to best experience the pyramids given the short amount of time we had on the ground. And then reality set in. We only had five nights on the ground and one of them started well after midnight. We would be diving for two full days so that was a decent chunk of the total time. And we had trouble with the flights as well. Around New Years the domestic flights are pretty full so that further restricted our options time-wise. Based on that – and a desire to have more than a few hours of time to actually see things – we were basically stuck. We could either do Luxor or Cairo and the pyramids. We chose Luxor over Cairo. That meant no pyramids, but we saw amazing temples, a pharaoh and an awesome collection of sphinx. The Temple at Luxor is simply awesome. Like many of the other ruins on display in Egypt it is hard to believe that they are thousands of years old. They look reasonably new. And they are wonderfully well lighted at night. The mosque in the middle is a relatively new addition to the site but the whole of the site is a wonderful walk-through. On our one full day in Luxor we did the “standard” half day tour. A private car, including an English-speaking driver, was about $80 for us as arranged through the front desk of our hotel. 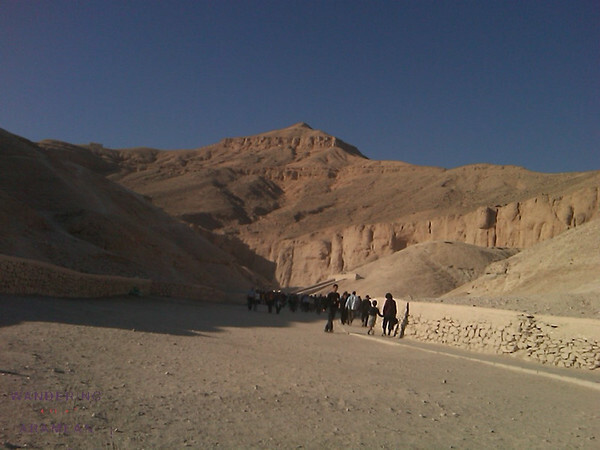 That included visiting the Valley of the Kings, Valley of the Queens and other temples. The admissions costs at the sites was easily another $75ish per person – lots more than I expected – but they were worth it for the most part. 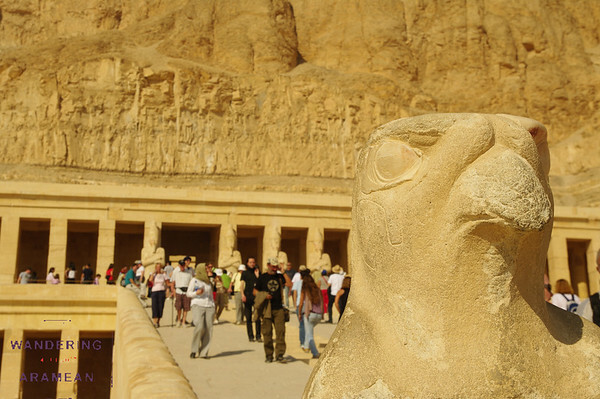 The Valley of the Kings is a collection of tombs from a number of pharaohs who ruled about 3-4000 years ago. They decided to relocate their tombs farther south in Egypt, out in the middle of the desert, to avoid the typical looters of the pyramids. They found a site a few miles away from Luxor where there was a natural formation that resembles a pyramid – a sharp point at the top of the hill – and they excavated amazing caverns under the desert to hold their remains and possessions. The number of tombs that are now uncovered and exposed to the public is quite impressive. The tomb of Ramses II is one of the more publicized bits of museum within the greater site. I do not think that it meets the expectations set by that publicity. It was the smallest of the three tombs we visited and the interior was rather unimpressive. Yes, there was a 3000+ year old corpse on display and that was pretty cool. And there is the hope that the money paid goes to the further maintenance and preservation of the site. But beyond that the tomb was really rather small, simple and notably less impressive than the other couple that we saw at the site. After the Valley of the Kings it was on to the other side of the hill where the Temple of Hatshepsut sits. Hatshepsut was one of the more famous pharaohs, mostly because she was a woman, a rather rare bit in the lineage of ancient rulers in Egypt. And, for reasons that I cannot quite understand, that particular site is not excluded from photography like the Valleys of the Kings and Queens are. It is in just as good of shape as the others and it presents some amazing views of how the temples of the time were built. 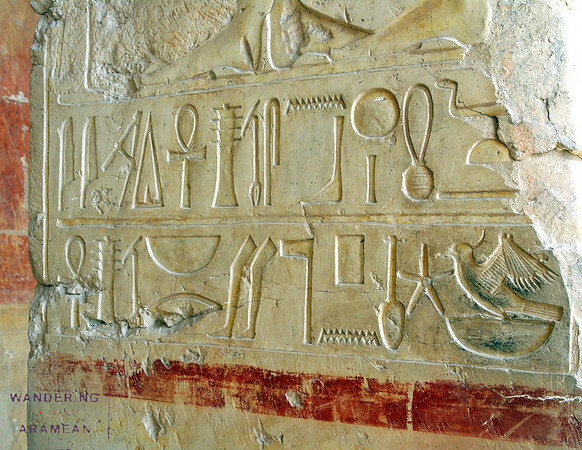 The hieroglyphic carvings are intricate and amazing.and are impressive even thousands of years later. But photos are permitted. I’m not complaining. And then there are the Sphinx. Pluralize it how you wish. I like Sphinxen though I can understand where the term Sphinxes is more acceptable. Either way, there are tons of them throughout Egypt and they are quite impressive. 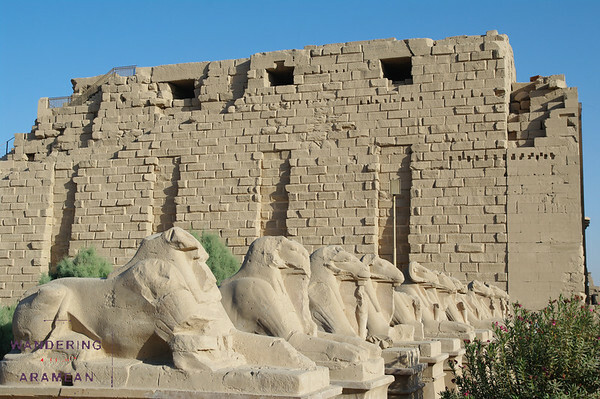 Only recently was it discovered that there is a boulevard connecting the Temples of Luxor and Karnak, about two kilometers apart, and that the entire length of road is lined with sphinxen on both sides. Businesses and homes have been bought out using the Egyptian version of eminent domain laws and the path is being uncovered from end to end to put the sphinxen on display. The interruption to life is unfortunate but the history that they’ve been able to put on display is wonderful. There are hundreds, if not thousands, of these sphinxen on the road from Luxor to Karnak. And at either end is an amazing temple, thousands of years old and incredibly well preserved. 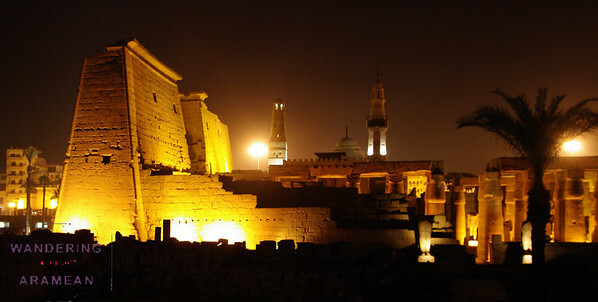 Both are worth visiting but the site at Karnak is somewhat larger and truly amazing. 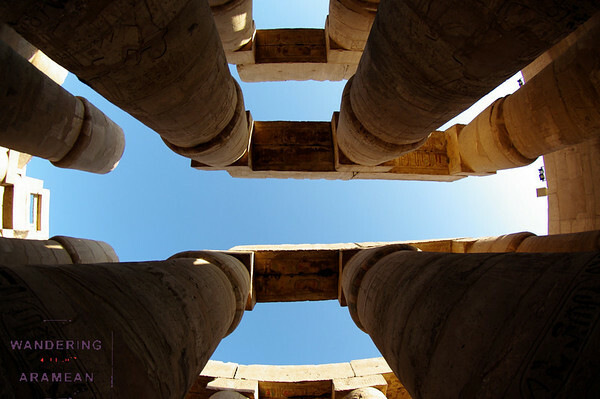 Given no personal experience, if asked to describe an ancient Egyptian Temple the description given would almost certainly come very close to the reality that is the Temple at Karnak. The columns, the statues and the facades are iconic. And seeing them in person is not an experience that can be easily translated to words. I can use the word awesome only so many times in a single post so I’ll let this be the last one:The Temple at Karnak is AWESOME. If it isn’t there already put it on your bucket list. It really is that impressive. Following the visit to Karnak we headed back down to Luxor and settled in for a couple drinks, dinner and then heading off to the airport to start our overnight journey home. 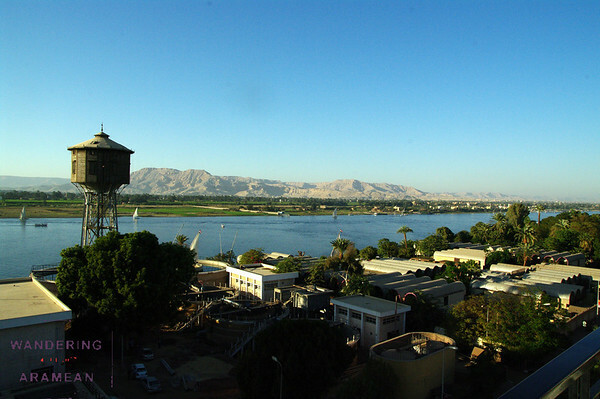 But that last afternoon and evening in Luxor gave us many wonderful discoveries. There were the couple amazing restaurants we found – probably the only two worth speaking of in Egypt from our perspective. There was the sunset. 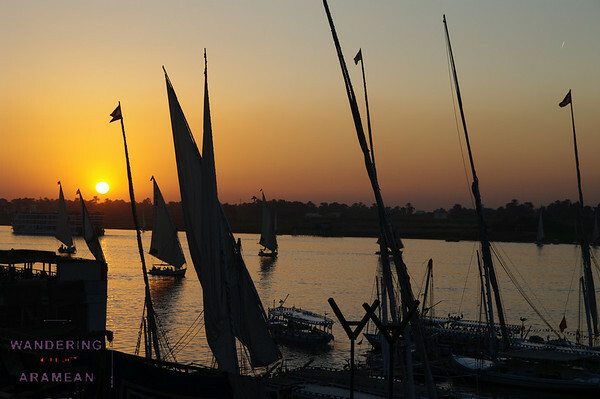 It was a beautiful blend of natural light, a range of colors and shadows and a handful of guys on the promenade, swearing that they could sell us a sunset felucca sailing even after it was clear that the sun had actually passed below the horizon. The restaurants that afternoon and evening – Sofra and Casablanca, respectively – were both quite good. Finding an authentic dining experience rather than a greasy spoon targeting Brits, Germans and other Europeans on package holidays was incredibly hard throughout our time in Egypt. Asking at the hotel in Hurghada got us referred to a restaurant that was out of business. Asking elsewhere endured the risk of being sent to the place where the baksheesh was stronger than the actual quality. It was not a good situation. There were many recommendations for a place on the west bank of the Nile that had all the details except for an actual address. We never found that restaurant. But these two, these tourist-focused but authentic cuisine shops, were truly outstanding. The food quality was some of the best that we experienced in Egypt and the service was top notch, almost too much in the case of Casablanca. Still, we finally managed to actually find some good food in Egypt and that was a tremendous relief. The trouble we had on that front is a big enough scar on the visit that it has actually made a return trip less likely than I had expected it to be. Overall the experiences that one can have in Egypt are unparalleled. There is simply too much there that doesn’t exist anywhere else in the world that it demands a few days out of every life. And it still demands a few more days of mine. After all, I still have to see the pyramids. I think this is my favorite trip report ever. What was the food like? Thanks for the reminders on which were closed/disappointing. I’m glad one of us was paying enough attention there. As for the food, mostly it wasn’t great. Finding anything that resembled “local” cuisine was very difficult throughout the five days we were there. It was only once we got to Luxor that we had even a chance. We had a pretty mediocre dinner while trying to locate a restaurant on the West Bank of the Nile that was recommended. The ferry ride and walking around the West Bank was fine but the dinner that night was just OK. The tw restaurants noted above – Sofra and Casablanca – were quite good. If you’re in Luxor they would be the primary choices/recommendations for decent food.